With the high price of gold, precious metals and gems, you cannot afford the time or the potential inaccuracies of traditional testing methods to determine the value of items being bought, sold or recycled. Using Thermo Scientific x-ray flourescence (XRF) analyzers, you can find out in just a few seconds the exact precious metal content in jewelry, coins and other valuable products with assay-comparable accuracy. 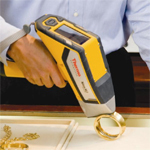 The Niton XL2 XRF Precious Metal Analyzer delivers fast, accurate, nondestructive method to test the purity and chemistry of all precious metals in an easy-to-use, robust and reliable package. Measure the content of all gold and precious metals with no need to manually change your calibration based on the metal you're analyzing; gold, silver, platinum and palladium. 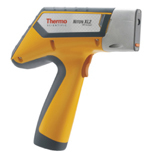 The Thermo Scientific Niton XL2 XRF ships from the factory fully calibrated and ready to use upon arrival at your site. Just a few seconds is all it takes to measure the exact precios metal content in jewelry, coins, and other valuable products using the Niton DXL precios Metal Analyzer. Buyer is responsible for all necessary licenses, registrations, certificates, permits or other authorizations by federal and state law pertaining to the use of this machine. Varies by region. 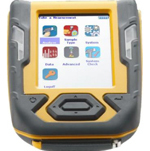 Niton Analyzer is not returnable once used.